Fast delivery with careful packaging which is so important with coloured pencils. Open stock is a must when I need to replace favourite colours, and at a competitive price too. Great selection and great prices as well as prompt shipment to regional area. I was pleased with the efficient online and delivery service. Easy to order and prompt delivery. Always quick and easy to deal with. Thank you! 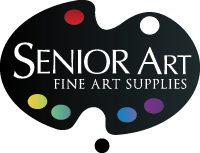 Senior's range of products is extensive and I have never been disappointed with an order. Staff keep you updated with an order's progress and the quality, price and brands are fantastic. Delivery is always prompt. Why would you shop anywhere else?